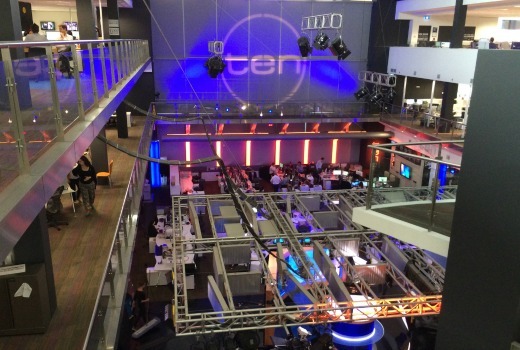 TEN will need to keep taking calculated risks to resonate, according to its former CEO Grant Blackley. Blackley, who was replaced by James Warburton in 2012 (following interim CEO Lachlan Murdoch) told the National Radio Conference, “They aren’t producing the same ratings they used to produce unfortunately, but they’re starting to get back a bit of their swagger. “They went through a period there where they went too young, and by going too young they went from the big pool to the little pool, similar to what we did with 2DayFm. They’re starting to reinvest. Blackley, who is now CEO at Southern Cross Austereo, cited shows like The Bachelorette as a “calculated risk” which had “bought some of the spark back to television”. “They went through a period there for two or three years where they didn’t take a calculated risk. I remember with Masterchef I wet to the board and said ‘we’re going to do a cooking show’, they said ‘that’s fine’ and ‘how much’ and I said ‘$35m’. But he added that “what happens with TEN might be irrelevant” he said if media reforms are passed by the government. Of course The Shire was originally commission for ELEVEN until the network got into so much trouble it was forced to move it to the main channel. Blackley was CEO at TEN from 2005- 2011. I believe in they’d left the Shire on 11 it’d probably still be going. Ten would kill for the numbers that show got now.